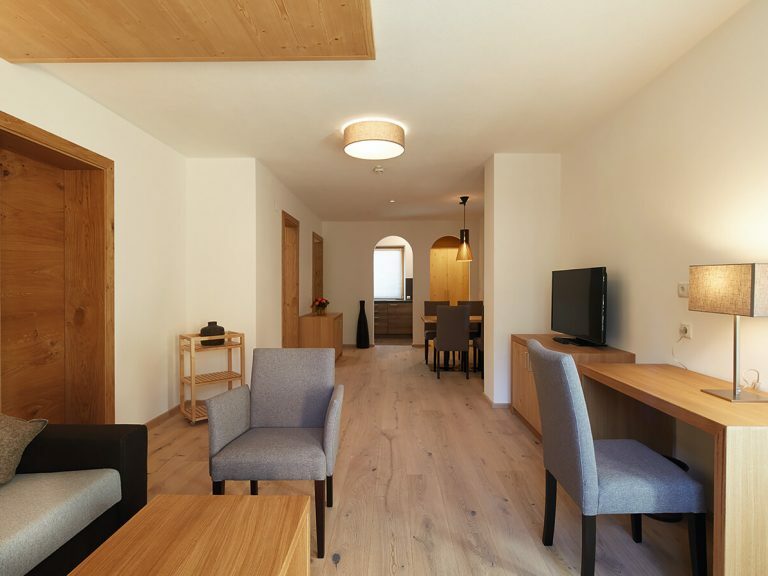 Picturesquely situated at the foot of Zugspitze mountain, our apartments DER SONNENHANG in Ehrwald are the perfect starting point for your active and recreational holidays. Enjoy numerous amazing holiday activities in summer as well as in winter. 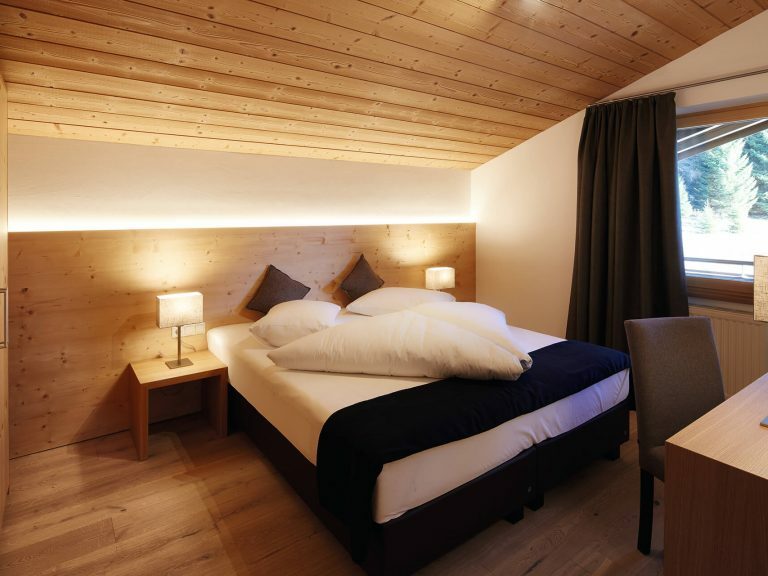 Our 8 superb alpine apartments with a fantastic view of the surrounding mountains are top equipped and offer the perfect place to relax after exciting days in the Tiroler Zugspitz Arena. 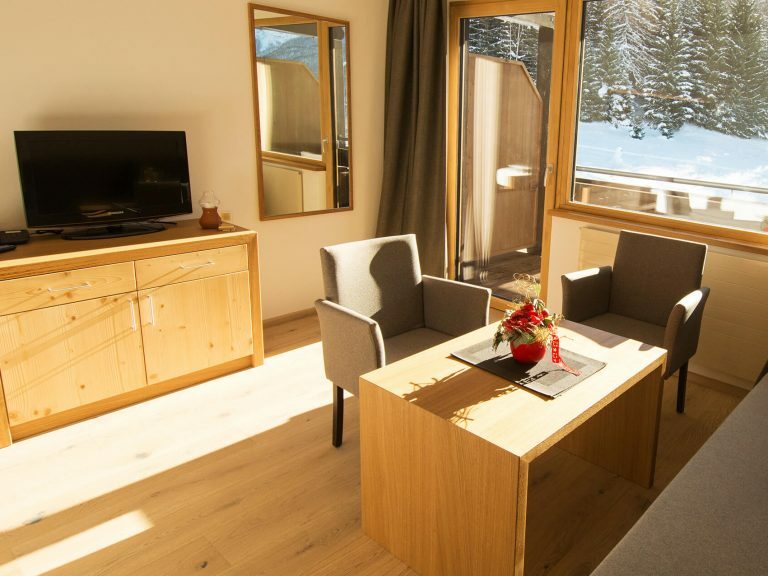 You can choose from 8 different holiday flats in a superb alpine living style. They vary in size from 33 to 75 m² and offer top furniture and equipment, comfort and free W-LAN. 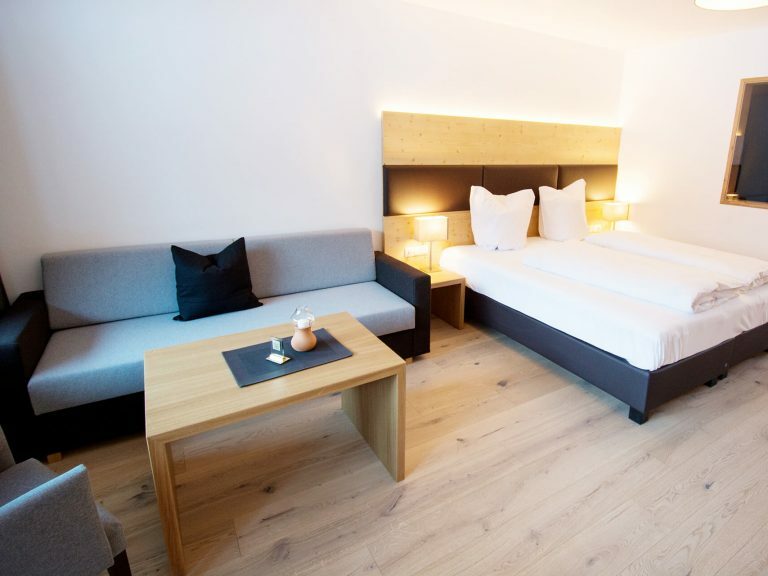 Depending on the type of apartment you choose, you will spend your holidays in a bedroom with a lounge area or a living room and two bedrooms. 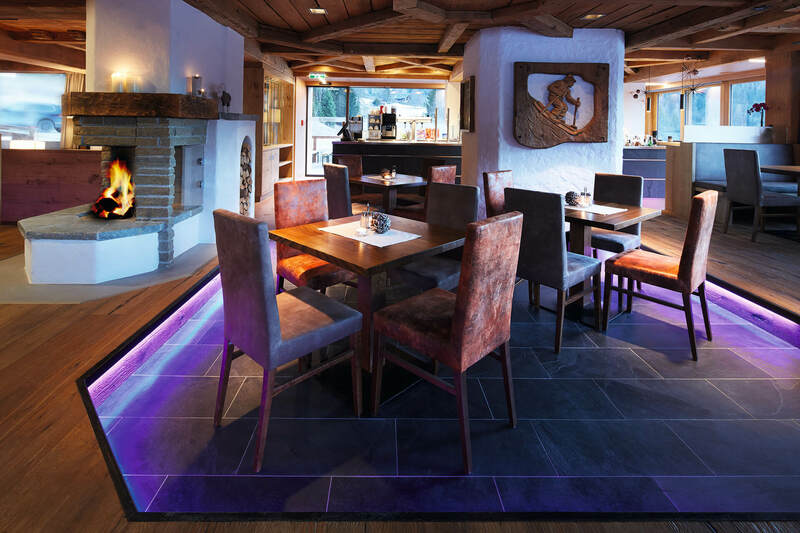 During the day our gourmet restaurant offers a snack menu all year round and a skier’s menu with traditional treats in winter. In the evenings we will pamper you with our Tyrolean cuisine as well as international and trendy highlights. Down to earth – special – good. 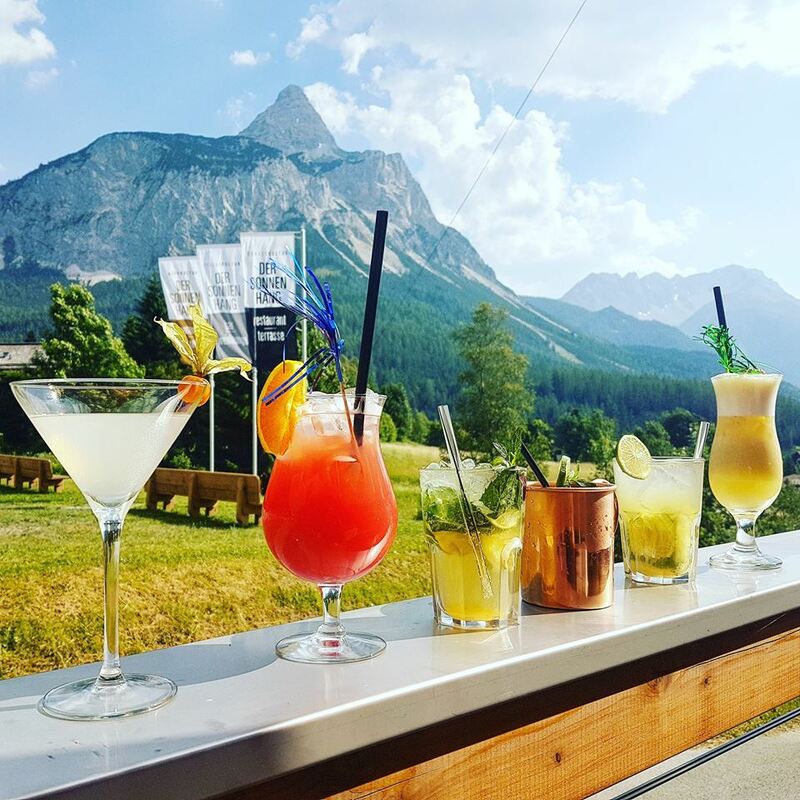 Enjoy an excellent selection of Austrian and international wines on our sun terrace, which is open all year round, in a cosy atmosphere and with a fantastic view of the surrounding mountains. 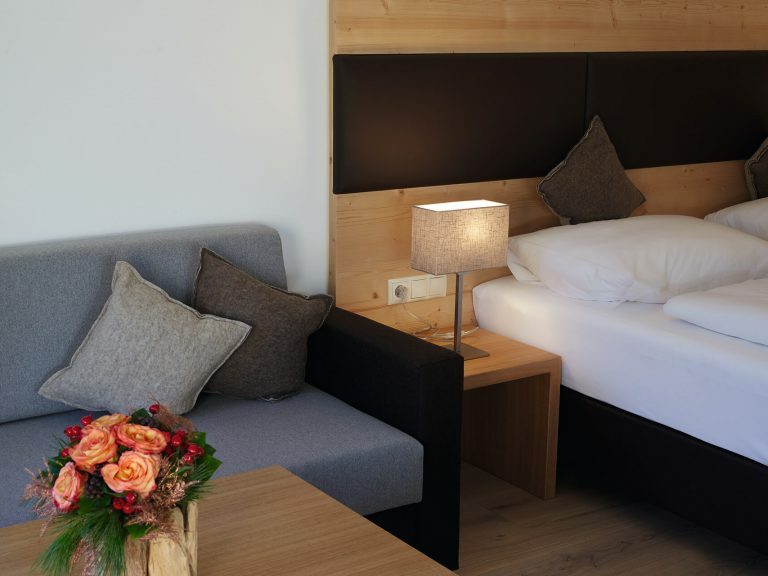 Enjoy individual living style with lots of space and a marvellous view of the Tiroler Zugspitz Arena. All apartments are furnished with refined materials and offer the best holiday comfort. No extra fees for W-LAN or your parking space. Summer or winter, it’s never boring in DER SONNENHANG! 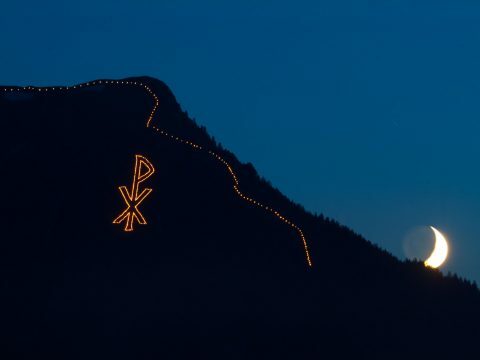 Look forward to musical entertainment and the best atmosphere in Ehrwald.